It is necessary from time to time check when you Linux server was restarted. 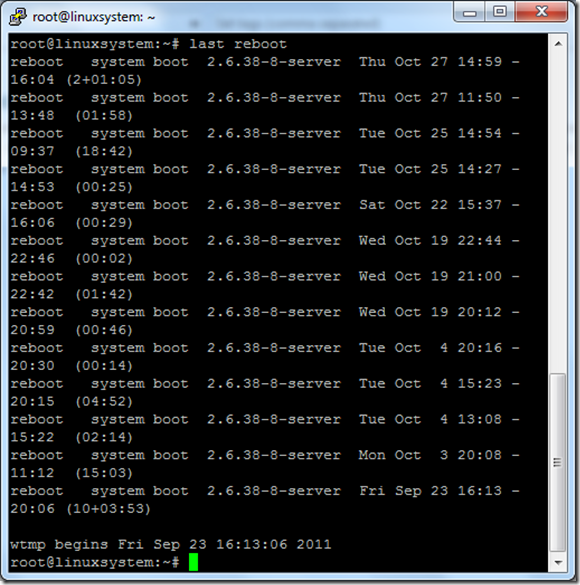 It might be interesting for security reason, when somebody had access to your server and reboot it. Also it is useful to know how stable is your server, how often it was restarted, manually or independently due to hardware, kernel or software crash.